Appendix III – Comments During Congregational Meeting – is inline in the report. The ALUUC Long Range Planning Committee presents five Strategic Visions as statements of our intent for the future of our community. Grounded in our recollections of the best of ALUUC, expressed in these visions is much of what we love about our community. Because they are inspired by our visions of the future, they are aspirations for what ALUUC could become. Stated in the present tense, they inspire us to envision now what we will become and serve as a reminder of our intent and a yardstick for our progress. Our Strategic Visions will be made real over time by prioritizing and implementing our goals. We are an inclusive, diverse Unitarian Universalist community that cares for all members and friends, with loving intent and in covenant of right relations, consistent with our welcoming and accepting beliefs and those of our denomination. We promote and follow Unitarian Universalist beliefs and principles through the practice of an exciting, energetic and well-organized social justice, social action, and environmental mission that engages the passion of our members/friends and attracts others to join us in making the world a better place. As a UU congregation located in Illinois’ seat of government, we take advantage of the opportunity to influence public policy in ways that reflect our mission. Together with other community organizations, we serve as a resource to the wider community on social justice and environmental issues. We offer an accepting and welcoming home so that others feel free to join us and express the fullness of their gifts and ways of being in the world. We provide a provocative and exciting enrichment program for all ages through engaging and thought-provoking experiences for participants. 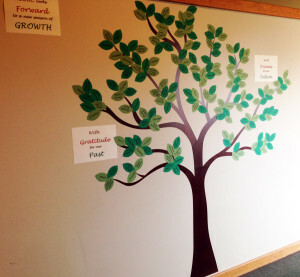 Through these programs, we share our values with the wider central Illinois community. Our religious education program for children and youth is high-quality and consistently well-attended. It serves as a primary appeal for new families. Our programs educate our children and youth about other cultures, religions and ethical ways of being in the world. We create meaningful, life-affirming and life-changing services to educate, to provide comfort, and to celebrate life’s transitions, such as Sunday and other worship services, weddings, memorial services, and child dedications. These services, inspired by our beliefs and principles, integrate a wide variety of topics, including social justice, environmental concerns, and personal and spiritual growth. We are careful stewards of our physical and spiritual assets. We make wise, intentional choices about using our staff / volunteer time and talents, as well as our financial assets and property in ways that support our mission and strategic direction. We preserve and use our assets to maintain our presence for future generations of UUs in central Illinois. Our employment practices are consistent with our values of inherent worth and dignity. An ALUUC Special Congregational Meeting will be held Sunday, November 13, 2016, immediately following the service at which we will set the overall direction for the congregation for the next 10 years and prioritize specific goals to be addressed within the next 18 months. Members will vote to adopt the Strategic Visions developed from the Long Range Planning process. To be eligible to vote at a Congregation meeting or be counted towards a quorum, a person must be a member for at least ninety (90) days (before August 15, 2016). or call Carol (leave a message) or Debby. Creating an ongoing planning process to support our continued journey toward our vision. Why plan? Why should you participate? Without a shared vision, we risk drifting and being pulled in directions that don’t represent shared goals. This is your opportunity to dream with the congregation. What are “our” dreams? What is our plan to live our values? Consultant Thom Thomas said at our first workshop that congregations who have faithfully followed a long range planning process, integrated with intentional capital and stewardship campaigns, have seen giving as much as doubled. He also recommended maintaining a long range planning committee as a standing committee to keep us on track to live our mission. Building on strengths instead of focusing on weaknesses and negatives. How did you become involved? What keeps you coming back? Sharing stories. Themes and actions. 20-year visions. Created Strategic Visions from your Cottage Group input; these are long-range strategic plans. The Committee has met with the Board, committee chairs, minister and staff to review the Strategic Visions and to solicit specific goals. The committee is working to merge all goals submitted so far to share with the congregation on October 23. 4. Sunday service October 23: Strategic Vision & invitation to submit additional goals. 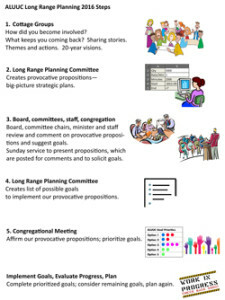 After Sunday, the Committee will merge congregation goals with previously gathered goals to create a full list of goals to implement our Strategic Visions for the next 10 years. 5. Congregational Meeting Sunday, November 13, 2016 after service. Vote to adopt our Strategic Visions. Prioritize goals for the next 18 months. Goals not selected for next 18 months will be retained for future consideration. 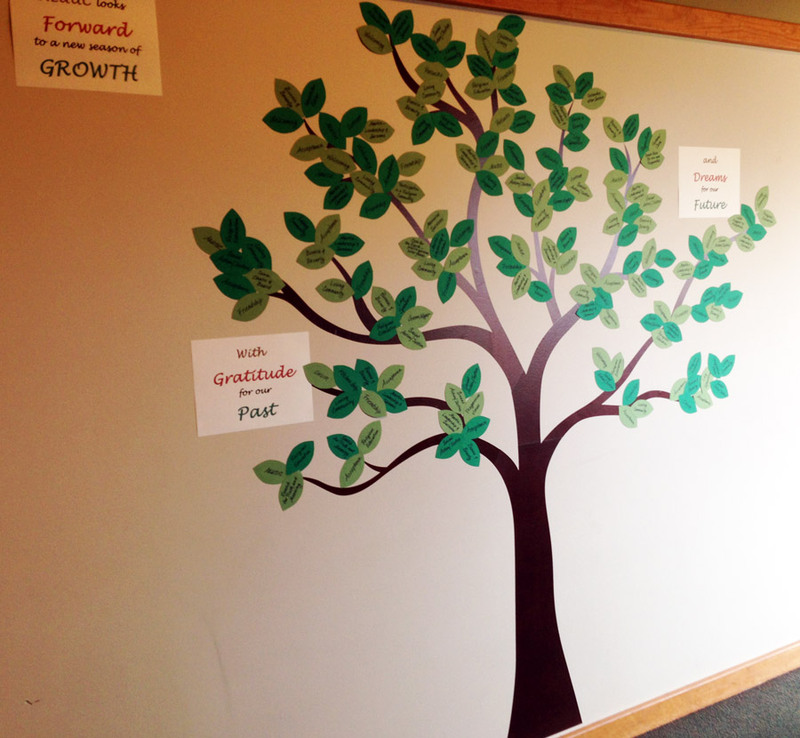 Over the next several years, the congregation will implement the prioritized goals. Progress on the plans and goals should be evaluated every year, and in the future we may decide to begin to implement some of the remaining goals – or to update our long range plans. We really want to know what each of you have to say about the future of ALUUC. We welcome and encourage your input. We are excited to discover where you would have us go together. The first step, getting input from members and friends, will be done at multiple Cottage Group Meetings with about 10 participants each. The Cottage Group meetings will take place after church and also at various other times and places to include as many members and friends as possible. Mar. 20 – includes a special session for Senior Youth and Young Adults; Additional CG dates, times and locations will be held, but details are to be determined. The Cottage Group Meetings are structured, with 5 activities. We also provide food. How did you become involved with ALUUC – what keeps you coming back? Tell a brief story about a moment when you were especially proud of ALUUC or most grateful to be a member. Mention who else was involved. How can we group our stories into themes? Take a minute to describe what would you like to hear others say about ALUUC 20 years from now. This is a Genie opportunity, so don’t squander your wishes: dream big, wish for what you would dearly love to see happen, wish what our congregation might make possible. Wishes should be as specific as possible and short. Proceed around the circle, and anyone may pass without forfeiting their next opportunity to wish. Have fun with this. We’re celebrating some high-priority victories based on the 2005 long range plan. How do these past priorities fit into the new plan? We’re presenting them here as ideas we might consider as we continue the process, but they won’t automatically be included in the new plan.